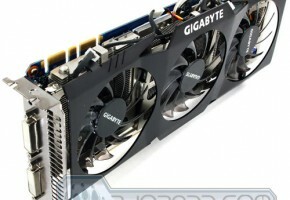 Gigabyte made the WindForce 3X GPU cooler a standard issue for its base-model GeForce GTX 480 graphics accelerator. 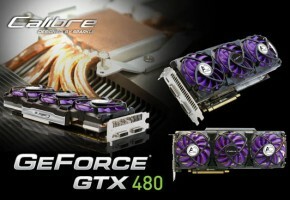 Featured on factory-overclocked GTX 480 graphics cards by the company, WindForce 3X is a double-slot GPU cooler that makes use of three fans to cool a large aluminum fin array that spans along the entire area of the card. The GV-N480UD-15I Revision 2.0 features this change. 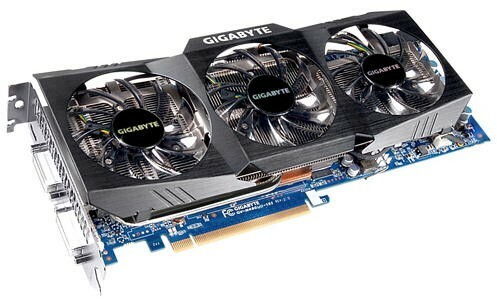 The initial version made of use NVIDIA’s reference cooling assembly over Gigabyte’s own Ultra Durable VGA blue PCB.